Do B2B and B2C Businesses Need Different CRMs? If the perfect CRM seems as elusive and unlikely as the perfect low-fat ice cream, you’re not alone. No matter how many you try, they always taste just a little... off. The thing is, purchasing a tub of ice cream is a lot lower stakes than purchasing a new CRM. Not only are there costs directly associated with a CRM (monthly subscription fees) there are also indirect costs, like employee onboarding time. And a quick Google search of “CRM software” will reveal a lot of options—so add to that the time spent evaluating a CRM and you’re looking at a much bigger decision than cookie dough or mint chocolate chip. To compound this challenge, many sources suggest B2B and B2C companies require different CRMs, but is this true? 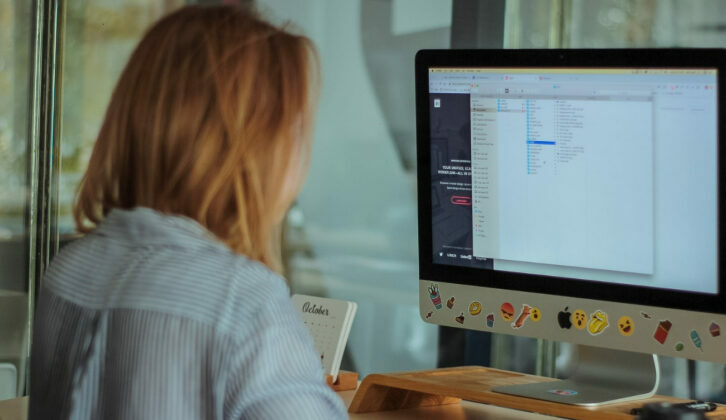 Before we can dig into what features and functionality to look for when choosing a CRM for your business—whether B2B or B2C—it’s important to identify some of the key differences between the two. 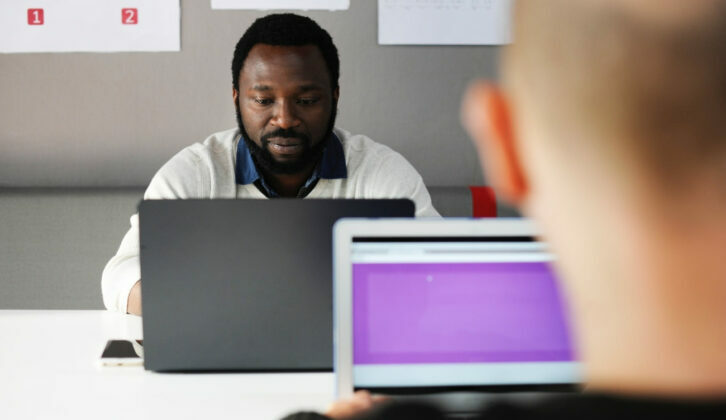 These key differences translate to different needs, which might lead you to believe you need a CRM designed specifically for your business type. Myth #1: B2B CRM is for salespeople, B2C is for marketers. Suggesting that B2B CRM is for salespeople and B2C is for marketers is a huge oversimplification. In fact, both types of businesses demand a strong alignment with marketing in order to succeed. Yes, there are CRM products out there that cater specifically to B2B and B2C businesses, but choosing a product specifically for this reason may mean prioritizing a niche feature over more far-reaching benefits like ease of adoption. Myth #2: B2B businesses rely on relationship-building; B2C businesses don’t. Copper’s 2018 CRM and Productivity Benchmark Report revealed that nowadays, “few customers are interested in one-off, transactional purchases.” Instead they’re looking for long-term relationships with companies that value their loyalty. According to the 2,500+ global business professionals surveyed—both in B2B and B2C—business relationships are lasting longer than ever. Among small businesses, for example, 68.3% of customer relationships will last longer than two years. Five years ago that number was significantly lower at 50.1%. This trend is mirrored across the board, for all business sizes—suggesting that no matter what type (or size) of business you’re a part of, relationships are paramount to survival. While it’s clear B2B and B2C businesses have some key differences, it’s important to remember that all businesses—both B2B or B2C—are unique. No matter which column your business falls into, you’re selling your product or service to real people with real problems that need solving. This means taking a unique sales approach—not a templated one-size-fits-all approach—with a CRM that can adapt to your needs. A fully customizable CRM should be able to address either B2B or B2C. Of course, there are exceptions to this rule. For example, there may be some transactional B2C companies that don’t require high-touch relationship-building. In this case, a robust automation tool would do the trick. Although each business is unique, there are some key features to be on the lookout for when shopping for a CRM. We’ve split it up for you based on company type. But (surprise, surprise) a lot of the features will be the same for both B2B and B2C—it’s all in how you use them. The number two barrier is lack of high-quality data… something we’ll mention later. Fortunately, the right CRM features will address this obstacle head on, with a focus on streamlining processes. B2C transactions occur primarily between the seller and an individual. B2B transactions, on the other hand, happen between the seller and a company rep, who may not even have the authority to approve a sale. On top of that, multiple stakeholders from a number of departments may be involved in the evaluation of your product or service. Without proper infrastructure in place to relate all of these records to one another, opportunities are bound to fall through the cracks. You're moving business opportunities through your pipeline, but so much of that movement is driven by good communication with the primary contact representing the opportunity. You can relate a person to an opportunity to know exactly who you need to speak with to move this deal forward. A project is often made up of a series of one-off action items, represented by tasks. You can relate tasks to a project to keep the project organized and moving forward. Being able to see exactly where along your sales funnel each of your leads is at a glance is a powerful ability, especially for B2B businesses that may have fewer but higher-value leads. In CRM, this is made simple with visual pipelines. A pipeline represents your sales process from start to finish, and can be customized to reflect your company’s existing sales process. Each stage in the pipeline represents a milestone, and with a simple click and drag of the mouse, you can move your opportunities through each one. Copper’s kanban-style pipelines are easy to use and absorb. B2C businesses have slightly different needs than B2B. Here are a few features you’ll want to consider when looking for a CRM for your company. Because B2C businesses generally manage more leads and people, having the ability to send emails in bulk is a huge advantage. With most CRM software,r you can bulk email leads, people, or the contact associated with a company or opportunity. 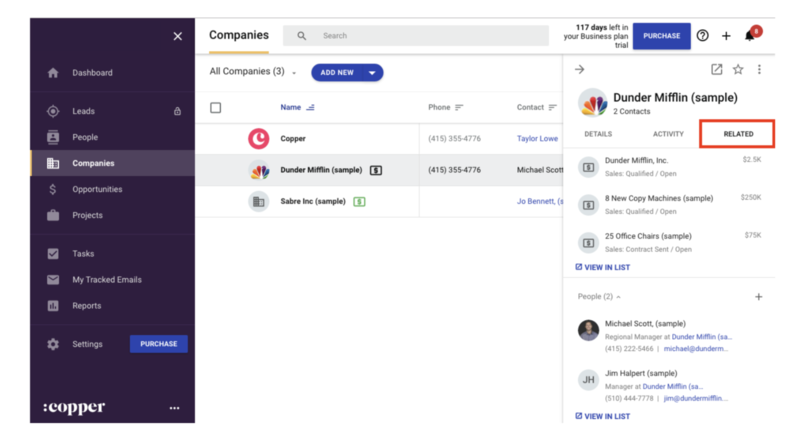 Using a combination of templates and merge fields, you can bulk send personalized emails, which may include details like first name, last name, phone number, company name, job title, and more. 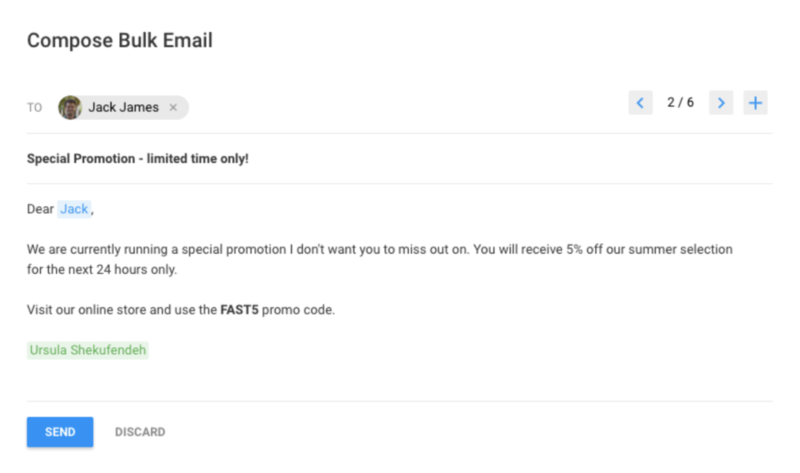 This is great news, since personalized promo emails have open rates nearly 30% higher and click-through rates over 40% higher than non-personalized emails. Often with B2C businesses, customers won’t deal with just one company rep. Instead customer interactions are shared between many employees, and as a result a lot of important information and context is lost or left out. Take Copper customer Reali—an app for the modern home buyer and seller—for example. Before Copper, the team used multiple channels and tools to communicate with each each other and manage deals, resulting in a lack of internal visibility—something Reali desperately wanted to change. No matter which category your company falls under, keep your eyes peeled for these important features. No company is exactly alike, and a good CRM should recognize that. The CRM you choose should adapt to your existing processes... and not the other way around. Your CRM will only be as powerful as your team members’ willingness to adopt it. Consider a tool with little to no learning curve—like Copper, for example, which is built directly off of G Suite. 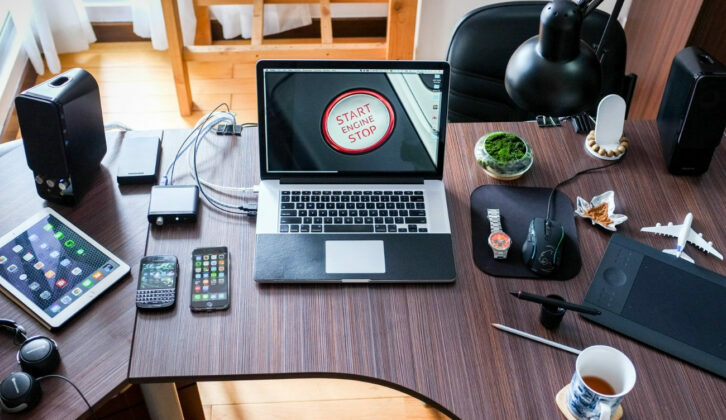 A good CRM may replace some of your existing tools, but you’ll likely still have a complete software stack, which will need to “speak” with your CRM. It’s important that the CRM you choose integrates with the tools your team relies on—either natively or with a webhook tool like Zapier. Shopping around for a CRM can be a chore. With so many options available, it can be hard to wade through and identify the best one for your organization. Initially it might be tempting to go with a niche product—you know, the ones that are “built for” B2B or B2C businesses. But this might present barriers down the road when you realize your processes differ from the standard template. Instead, look for a trusted tool that can be easily customized to suit your team’s needs and workflows—something that’s easy to adopt and integrates well with your existing stack. In this webinar, learn how to maximize the ROI from your CRM and use it for everything from improving sales forecasts to collaborating more effectively. As a manager, you want to keep your team on task. 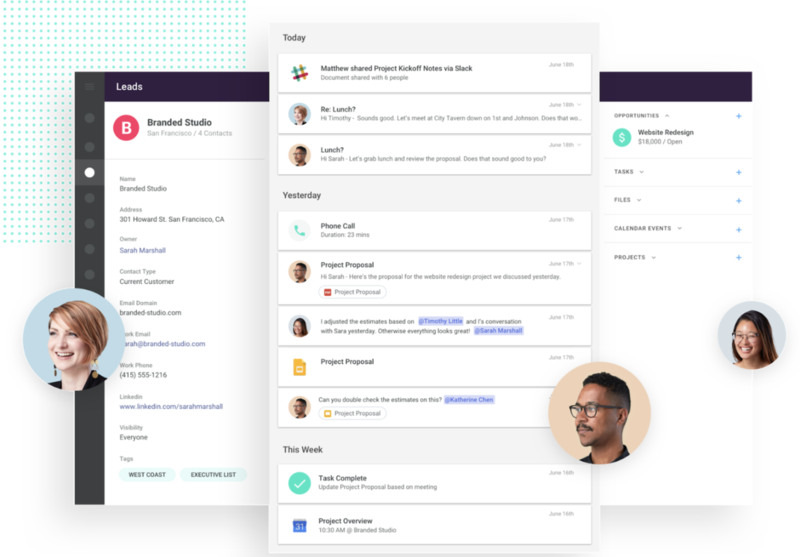 But before you drop cash on a new task management tool, look at this unconventional alternative: a CRM.